Building a solid sprinter on the high school level begins with the success of knowing the fundamentals. Fundamentals of Sprinting give readers a great developing approach to understanding how to properly teach and train sprinters for success. 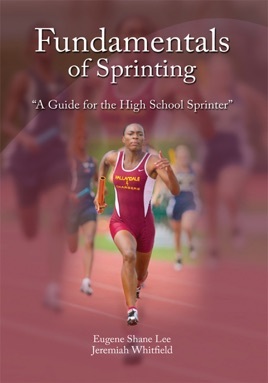 Winning begins somewhere and with the help of this book gaining the basic knowledge to develop great high school sprinters can be achieved. You will find that the goal of the first series will offer high school coaches and athletes basic instructions on sprint techniques, sprint training, sprint starts, and sprint finishes. o	Drills Sprint Drills, Acceleration Drills, etc. As coaches this book will allow you to gain a wealth of information in order to teach and train athletes to have a great and successful season. You will give your young athlete access to learn and improve their work ethics. This series will help you breakdown the way you coach certain events, and it will help you understand how to utilize workouts to help you reach your full potential.